1.78 Acres with approximately 297' of Hwy 248 frontage with gentle slope to back of property that backs onto Hummingbird Lane. 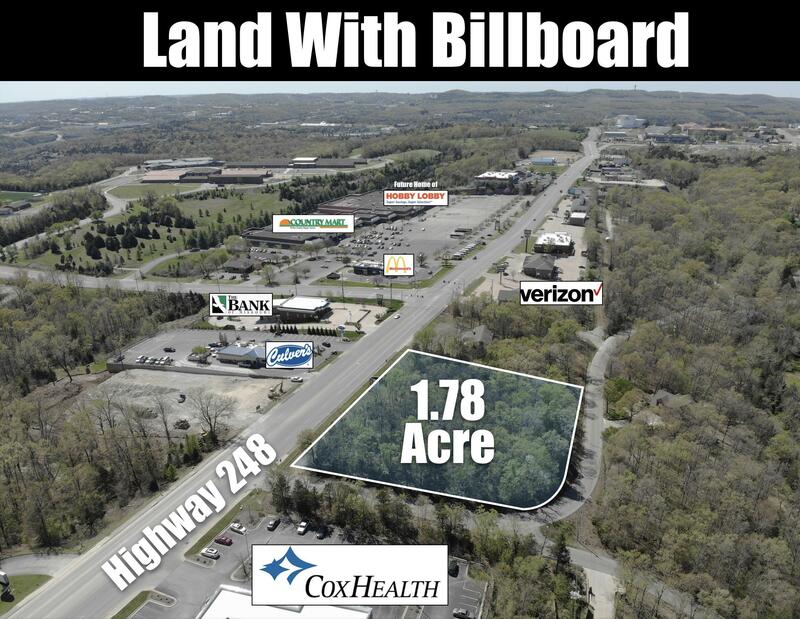 Also includes a 16 x 99 space that currently has a billboard that is leased for approx. $400/month w/month to month lease. Loads of potential for many different commercial possibilities. City sewer and water available. Reduced substantially!! Great visibility!! Also available is MLS#60087194 which would connect this parcel to Hummingbird Lane thereby having road access from three sides.